It is the peak event that is expected to gather 1500 attendees and 100 speakers. 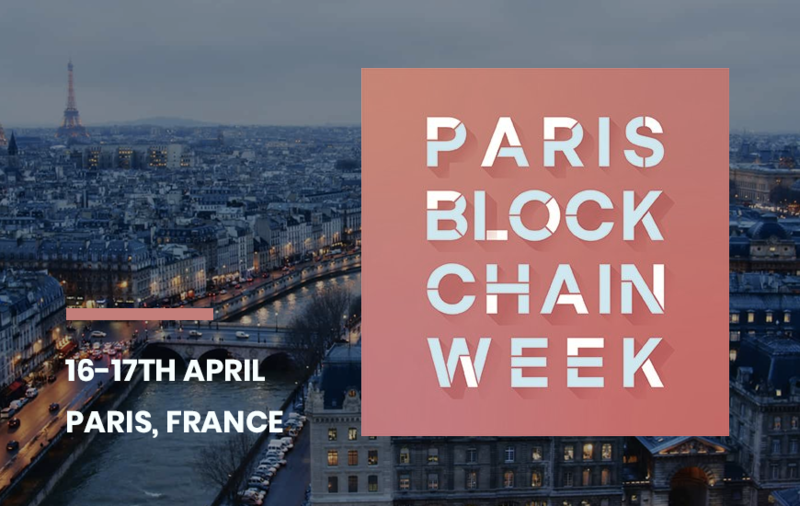 The Paris Blockchain Week Summit is the flagship event of Paris Blockchain week. It is coordinated under the joint High Patronage of the French Ministry for the Economy and Finance and the Secretary of State for Digital Affairs. It will cover the hot topics of the blockchain industry from the best blockchain developers and entrepreneurs. We have updated the articles with the coverage of important highlights from this week Blockchain conference. The Paris Blockchain Conference first day was started with the speech from Elixxir CEO David Chaum and was ended with the discussion on blockchain technology-based business models in the financial industry. David Chum addresses the crowd by stating that most importantly what consumer need is “Digital sovereignty”, respecting the privacy and sanctity of an individual. Nowadays people are aware of the risk involved in sharing their personal data with other companies. They make sure that their data is protected. Therefore, there is no chance for companies to process metadata without any regulation and control. 2. Regulation Of Crypto-assets: Is There A Unique European Answer? The panel for this discussion was consist of members of the primary regulator institution that included Patrick Armstrong (ESMA), Gundars Ostrovskis (EU Commission), Jennifer D’hoir (GIDE 255), Peteris Zilgavis (EU Commission). In this session, the present policies of the European Union and what steps should be taken in the future to improve the blockchain scenario were discussed. It was one of the hot topics as the EU is an important part of the Blockchain market. A few crypto assets are now considered as financial instruments that will fall under the traditional rules of financial instruments. Whereas some of the crypto assets are not even considered financial assets or securities. There is no necessity of getting the certification for crypto-assets in France. However, if any project needs to apply for the certification then the AMF is the concerned authority. The discussion panel for this topic was consist of Fabien Aufrechter (Havas Blockchain), Alan Milligan (White Rabbit), Adrian Garelik (Flixxo) and Grégoire d’Avout (Dtube). Eradicating the problem of centralization of the content that means ending the traditional trend of the media sharing platforms being ruled by the small group of big actors. There is a possibility that the new Blockchain model is supposed to provide content without enabling algorithm based on views and no ads. The finance panel discussion was consist of Jean-Marc Stenger (Lyxor Asset Management), Anthony Attia (Euronext), Pauline Adam-Kalfon (PwC), Mattieu Garnier (BNP Paribas). Banking institutions do not need to afraid of Blockchain industry. But it is advisable for Assets management business houses to not invest in non-regulated cryptocurrencies. The second day of the Paris Blockchain conference kicked off from the discussion on the role of France in the international blockchain ecosystem. The ending moment of the blockchain summit was Cedric O’s speech. 1. Why Blockchain Organizations Should Move To France? Showcasing the perspective of setting up the blockchain project in France was the primary reason for hosting this event. This discussion was joined by Nadia Filali (Caisse des Dépôts et Consignations), Domitille Dessertine (AMF), Michael Amar (Chain Accelerator) and Kat Borlongan (French Tech). Michael Amar, Director of Chain Accelerator, indicated that France can be very beneficial for two main reasons: Regulations and talents. He highlighted that 50 percent of the startup Chain Accelerator’s applicants are USA based residents. Another notable example he gave was of “FrenchTech Visa”, which ensures that foreign tech workers settled smoothly in France without any hurdles. This type of facility makes France one of the attractive places for employment. This panel discussion was consist of Monica Quaintance (Kadena), Nigel Clark (Hedera Hashgraph), Patrick Dai (Qtum Foundation) and Edward Tale (Nomadic Labs). The Proof of Work (PoW) is the classic consensus mechanism that has been put to use with Bitcoin. It is known for its efficiency. But it also has a disadvantage as it consumes massive power. Whereas Proof of Stake(PoS) is better at where the PoW lags. However, PoS is not as efficient as PoW. This panel discussion was joined by Mathieu Friedberg (CMA CGM), Emmanuel Delerm (Carrefour), Simon Woollard (Fantastec) and Vidal Chriqui (BTU Protocol). BTU Protocol’s CEO Vidal Chriqui said that the customer can get benefits even from their first transactions. It is promoted the Blockchain as the amazing payment platform. However, the main concern is to give a better understanding of the blockchain technology to the users. The discussion panel was handled by Reuben Yap (ZCoin), Dmitry Khovratovich (Dusk Network), Jack Gavigan (Zcash) and Stephanie Vaughan (Elixxir). Through this platform, crypto-currency miners can validate a transaction without knowing the important details: amount, receiver and the sender. This concept is primarily for maintaining the privacy of every transaction. It will take time to fully developed this idea. 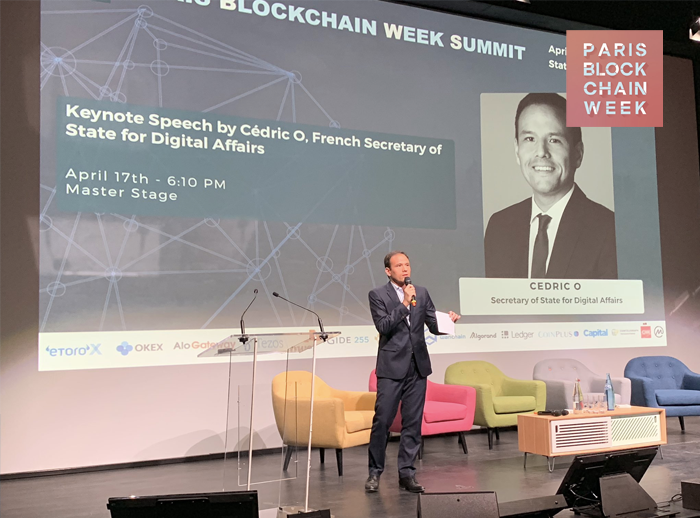 At last, there was ending speech by Cedric O, giving the vision of the French government in developing a friendly environment for Blockchain startups. From his words, it was clear that France is trying to become one of the main players of an international Blockchain ecosystem. France is customizing the legal frameworks for attracting companies to invest in France’s Blockchain ecosystem. The main stage topics of this blockchain summit will include EU regulation, stable coins, decentralized exchanges, security tokens, scalability issues, recent advances in consensus mechanisms and many more hot topics. 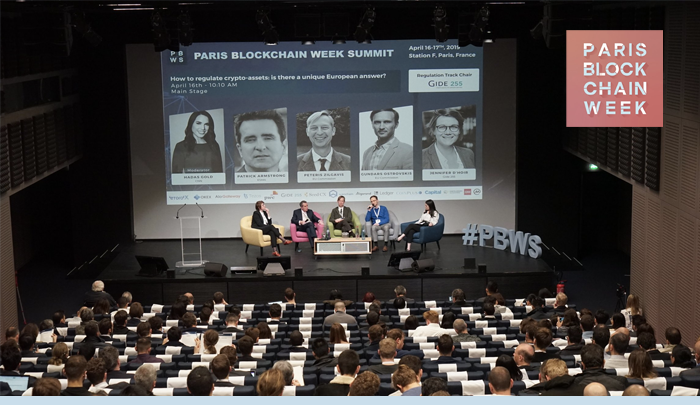 The Paris Blockchain Week Summit is aiming to represent the French regulatory framework and ecosystem in order to encourage vocations and expansion of the blockchain scene in France and in Europe. It also plans to motivate international blockchain projects to establish their activities in France. To know more details about the event and for ticket booking refer to the official website. For more coverage of the event, stay tuned to our page MobileAppDaily by hitting the subscribe button. We will be updating this article as the event progresses! Dagcoin, Ethereum and Ripple - Which One Is Worth Your Time?